Richard has degrees in Commerce and Law from the University of Auckland, New Zealand and was admitted to the bars of New Zealand in 1989 and Fiji in 1995. A former journalist in Fiji and New Zealand, he worked in major law firms in New Zealand between 1989 and 1995, when he returned to Fiji. Richard now leads the firm’s Commercial Group, advising clients in Fiji and abroad in all major Fiji business sectors, including tourism, energy, finance, media, transport, real property, mining and manufacturing. His areas of practice include competition, finance, foreign investment, media, real property and taxation law. He is also a mediator accredited by the Australian Centre for Dispute Assessment & Resolution. Richard is an occasional presenter and commentator on legal, media and other public issues in Fiji. 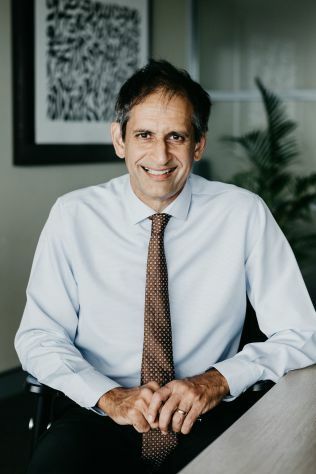 He advises a range of NGOs, including the Fiji Red Cross Society and the Fiji National Olympic Committee and holds offices in the Fiji Law Society, the South Pacific Lawyers Association and the International Bar Association. Richard is also the Honorary Consul in Fiji for Belgium.